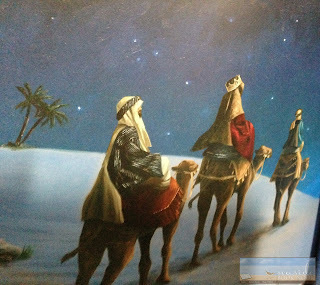 Here is a beautiful retelling of the birth of Jesus on that joyous night in Bethlehem so long ago. The poem begins with the arrival of Mary and Joseph in Bethlehem through Christ's birth, the angels' appearance to the shepherds, and the visit by the Wise Men. The simple, yet elegant, verses will appeal to little ones and are accompanied by the rich oil illustrations of Christine Kornacki. One (or more) Sentence Summary: Absolutely LOVED it. What a beautiful but simple way to tell the story we all know. 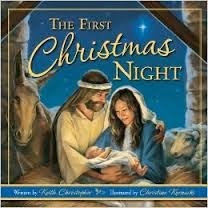 The First Christmas Night is one of those books you want to make part of your collection and read every year. I have very special Christmas books that are part of my collection and I am thrilled to add The Christmas Night to it. Illustrations: The illustrations are so beautiful. In this type of book, the illustrations can make or break it. 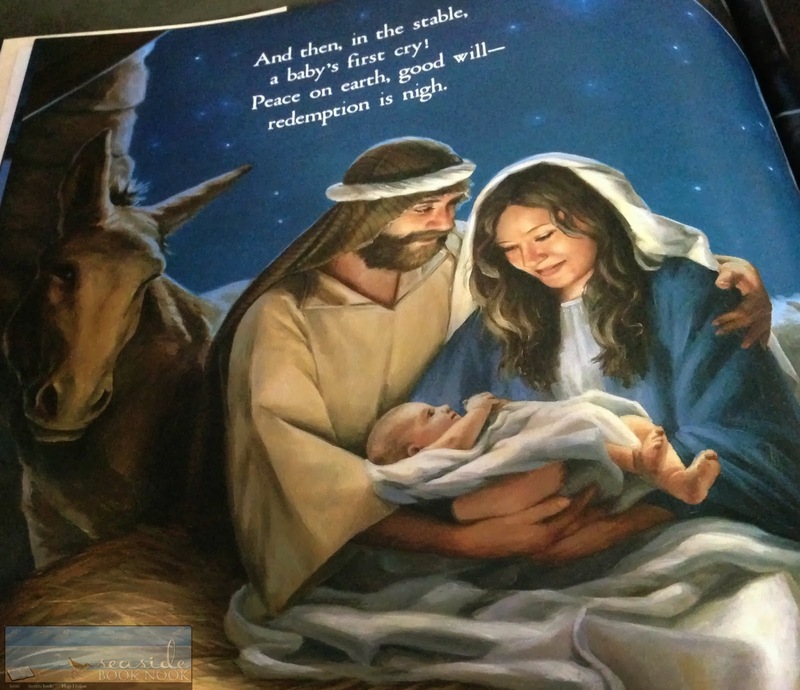 The illustrations in The First Christmas Night, no doubt, make this book extra special! Here are two of my favorites. Cover: So beautiful. There is nothing more to be said. Would I Read Other Books by the Author/Illustrator: Yes, my whole family would! Meet the Author: Keith Christopher is a composer, arranger, orchestrator, and educator; and he has served as editor and producer for several major music publishers. In addition to writing and studio producing, Keith is on faculty at the Blair School of Music of Vanderbilt University in Nashville. He lives in Hendersonville, Tennessee, with his wife and two children. Meet the illustrator: At a very early age, Christine Kornacki developed a love for painting and bringing stories to life. 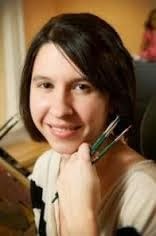 After receiving a BFA in illustration from the University of Hartford, her dreams of illustrating began to take shape. Christine's rich and emotion-filled paintings are featured in The Sparkle Box, published in 2012 by Ideals Children's Books.